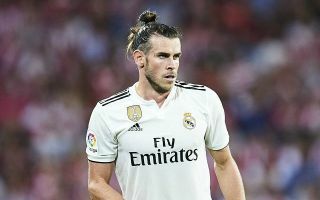 An exclusive report by the Sunday Express claims that Real Madrid are preparing to offer £50m plus Gareth Bale in an attempt to persuade Tottenham Hotspur to part with Christian Eriksen. Considering 27-year-old Eriksen has less than 18 months left of his contract, this sounds like a very generous proposal. Bale, 29, is arguably a better player than the Dane and is already seen as a God-like figure by Spurs fans following a stunning previous spell in north London. The former Spurs star has scored more than 100 goals for Real since joining them for a then-record fee in 2013, with three of those strikes coming in Champions League finals. Fitness may be a concern, with Bale famously susceptible to injury, but the main issue likely to prevent this stunning part-exchange deal from becoming a reality is finance. Bale last signed a contract extension in 2016 when The Guardian reported that he had agreed to terms of £600,000 a week before tax. Tottenham’s finances simply would not bend that far. When current top asset Harry Kane penned a deal worth around £200,000 a week including bonuses last summer it was remarked by The Telegraph that Spurs chairman Daniel Levy had ‘smashed’ the club’s wage structure. There is surely no way Spurs could justify paying Bale three times more than England captain Kane, while it seems unlikely the Welshman would be willing to take a drastic pay-cut.